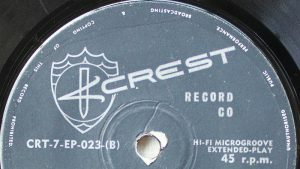 Way back when, er… maybe 1969-70 when I’d just started trying to make money as a photographer after leaving Photography school, I photographed a number of LP covers and did PR shots for Crest Records, the small company that we were renting our upstairs studio and darkroom from. It was opposite the Tooronga railway station in Melbourne. 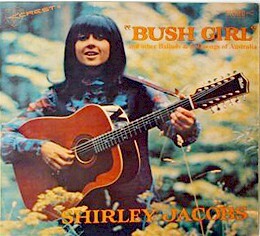 One of their recording artists was Shirley Jacobs, a folk singer who seemed to at first have slipped completely off the Google radar when I searched in 2006. Then I started to find bits. Now there’s a lot more. There was a copy of Shirley’s RCA Camden self titled album for sale on eBay with a tantalising cut down scan of the cover. I didn’t save the seller’s name but I saved the picture. The first track on side 1 is called The Sad Eyed Teddy Bear. The liner notes (by Shirley) say..
“A song about a typical Australian boy as he grows from childhood to manhood. 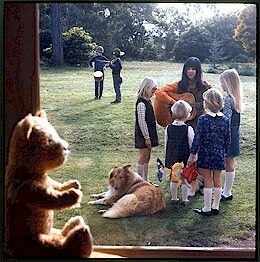 The Teddy Bear in the song -the symbolic toy – is left sad and lonely amidst the dust and cobwebs when Johnny marches away to war… never to return”. Yep, a bit corny, and my photograph at left, doesn’t make it better. It was designed to be the cover, leaving space for the title. We went to friends of Shirley I think at a property in the Western district because they had three (? )/ four, beautiful blonde haired daughters. Innocence. The boys were neighbours. Clearly Experience. 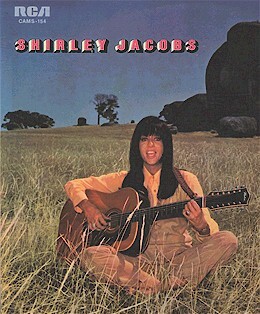 Now I don’t think I photographed the RCA cover image they used of Shirley sitting in the grass, I did (and still have somewhere) some photos in black and white of Shirley in front of those rocks outside Pyalong in Central Victoria, but she took me back there on another occasion. I can’t remember shooting colour images and I wouldn’t have used flash fill. 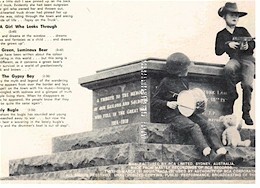 I’m sure I did take, when I was doing the kids and bear image, the back cover photograph at a nearby war memorial with those two boys (they’re also the ones in background in the window picture.) I can remember Crest’s Marcus Hermann worrying we were being anti-establishment and said “I hope this isn’t considered disrespectful” and I think that’s why the standard digger statue with a gun was cut out of the picture (badly cut out when that was done with scissors or paint on the artwork for the printer). It wasn’t until years after that, that Anzac Day became ‘ok’ even if you were anti-war. At the time it seemed very daring to have the kids there. Again, I have black and white series of Shirley with this shirt on, taken in the fern gardens of Melbourne’s Botanic Gardens so I must have shot the cover. That I have no colour images is probably because I would shoot 120 roll film (2 1/4″ & 2 1/4″) transparencies on my old Yashica and give them the whole roll when processed. The black and white I’d develop myself. The ‘bear in the window’ shot I had a duplicate 4×5″ negative made, and I have that still. At the same time as I did Shirley’s press shots, I’d photographed Ade, in his living room at his home in Sandringham(?) and some of Frank Traynor performing. There’s a reference in the Papers of Harry Hastings Pearce – MS 2765 in the National Library, of correspondence with Shirley (probably on her and his interest in Lawson and historical Australian ballads). There’s a Shirley Jacobs discography which puts her last album down as Songs of Love and Freedom in 1975. 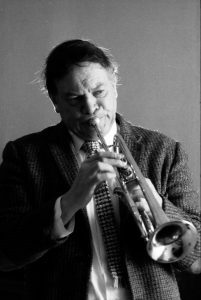 Stockade, with I reckon, Ade Monsbourgh on recorder or melodica. Now, I knew some of her musician friends at the time, and when I heard she moved to Sydney I asked after her. I guess there was a bit of a crush involved, she was always dynamic and friendly. I had no idea she was twenty years older than me, (she was born in 1927). There were conflicting stories, mostly of a heavy personal relationship with a drug dealer and a jail term. I met her in a recording session with someone who must have been Joey Hamilton. She’s part of our Australian folk history now, and I felt somebody should tell you the story. Well, they have more or less, ten years after I wrote my original diary piece. 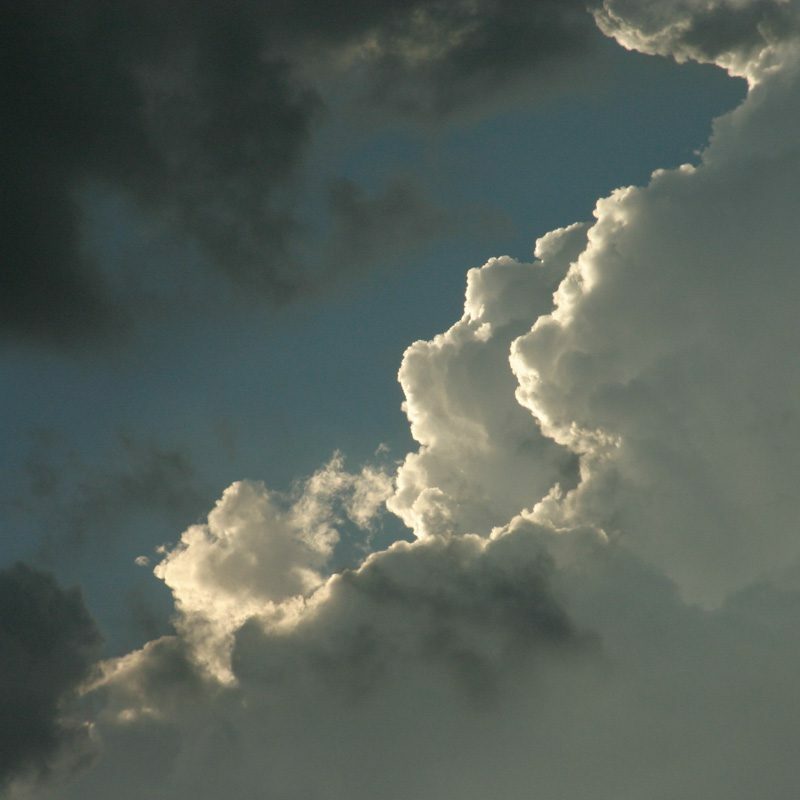 Iain Gillespie and Debbie Jacobs wrote Shirley’s obituary in the Sydney Morning Herald . Shirley died on the 24 of November 2015 in a nursing home in Thornbury, with her second husband, the love of her life Joey Hamilton at her side. I can do little more then thank Gillespie and Shirley’s daughter Debbie for the account of her life, and I’m surprised how little I followed or knew of those later events. I won’t reproduce it here, read it and get angry at how Victorian police corruption can ruin lives. Of course after just one Facebook post of a photograph on the Milesago site I discovered and was contacted by her artist daughter living in Byron Bay, and was able to share with them some of the old photographs. Maybe the web is getting better? Oh dear. There’s some more PR shots I took for Shirley here at an aged care home, which like that big 12 string, resonate with me knowing that.